Helps you stay safe and secure. No more crashes or frozen screens. Why is online security so vital to me? Today's Web users require MORE than a Browser that is faster, nimbler and more stable. They need one that is secure too! In 2009 alone, more than 25 million new strains of malware were created, causing a 400% jump in compromised Web sites worldwide. This is exactly why Comodo, the world's leading online security and trust assurance innovator, has stepped forward with Comodo Dragon. – Comodo Dragon, a Chromium technology based browser. It offers you all of Chrome's features PLUS the unparalleled level of security and privacy you only get from Comodo. This includes a greater level of privacy than Chromium technology offers. The Comodo companies are innovative and prolific developers of online security and trust assurance solutions. The Comodo Dragon has taken the latest Chromium technology and beefed it up in the one way necessary to make it the optimum Browser to use on today's malware plagued Internet. – Superior Security and Privacy. Comodo Dragon not only gives you the complete compliment of features offered by Chromium, it also gives you Comodo's unsurpassed security and privacy features. Includes privacy enhancements that surpass those in Chromium's technology. Includes Domain Validation technology that identifies and segregates superior SSL certificates from inferior ones. Stops cookies and other Web spies. Prevents all Browser download tracking to ensure your privacy. What's the difference between Google Chrome and Comodo Dragon? Which should I choose: Comodo Dragon or Comodo IceDragon? What makes Comodo Dragon better? Chromium technology was engineered to offer Web users an Internet Browser that surpassed Firefox, Opera, Safari and Internet Explorer. Especially when it comes to functional speed, stability and convenience. Comodo Dragon includes stronger security features. Why is a Browser that provides greater security and privacy necessary? Simple. The Internet has grown up. Malware plagues the Internet. In 2009 alone, more than 25 million new strains of malware were created, causing a 400% jump in compromised Web sites worldwide. Venturing onto the Web today (in an age in which one continually reveals social security, bank account and credit card numbers as well as a plethora of other sensitive data) can be like walking down a hallway with portraits on the walls. Portraits with eyes that watch everything you do and people hidden behind them ready to take advantage, based on what you let them see! --- Never have you needed to protect your privacy more on the Web! Will Comodo Dragon run on my computer? Comodo Dragon will run on Microsoft Windows 7, as well as Windows Vista and XP. Will trying Comodo Dragon cost me anything? No. Comodo Dragon is absolutely FREE. Much like many of the other innovative Internet solutions offered by Comodo. For help with CID, check out our online user guide. Our community message board has a dedicated sub-forum for discussing Comodo IceDragon. You'll benefit from the expert contributions of developers and fellow users alike and can find answers to any questions you may have. ITSM : RMM Software | Service Desk | Network Assessment| Patch Management Definition| Remote Access| What Is BYOD? Fast, easy to use and light on PC resources. Scan web-pages for malware from the browser. Integrated DNS service Privacy and performance enhancements over Firefox core. Full compatibility with Firefox plug-ins. 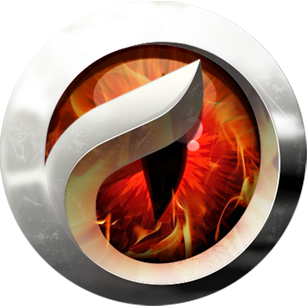 Comodo IceDragon is a fast and versatile Internet browser based on Mozilla Firefox. It features several significant security, performance and feature enhancements over the core build. 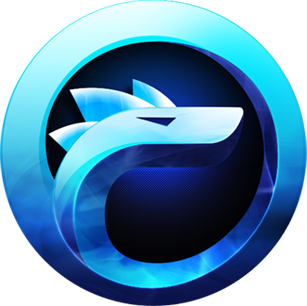 Fully compatible with Firefox plug-ins and extensions, IceDragon combines the freedom and functionality of Firefox with the unparalleled security and privacy Comodo is renowned for. SiteInspector's link scanning feature allows you to check whether a web page is malicious before you actually visit that page. To scan a page that seems suspicious to you, simply right-click on the link to that page and click 'Scan Link'. Alternatively, the SiteInspector button at the top corner of IceDragon allows you to instantly scan the page you are looking at to find out if it contains viruses or other malware. When the scan is complete, you'll see a detailed breakdown of site safety, domain registration details, administrative contacts and a history of previous malware scans on that website. Web-pages load faster – Comodo operate a huge network of fully redundant DNS servers located at optimal locations around the world. This means your requests for web-pages are always resolved by the high performance DNS cluster closest to you. The result? Websites load faster than if you continue to use the DNS server provided by your ISP (which you share with all their other customers). A safer Internet experience - SecureDNS helps users keep safe online with its malware domain filtering feature. SecureDNS references a real-time block list (RBL) of harmful websites. These include phishing sites, malware sites, spyware sites, and parked domains that contain excessive advertising. You'll be warned whenever you attempt to access a site containing such potentially threatening content. Our highly secure infrastructure also reduces your exposure to DNS poisoning attacks. Found an interesting page or video? IceDragon's dedicated social media button makes it easy to instantly share your web-finds with your Facebook, Twitter or LinkedIn friends. IceDragon features several tweaks to the core Firefox build to improve both security and performance. These include the removal of crash report and performance data submissions, the removal of the snippets service, an all new update module and many other under-the-hood enhancements. We think this make IceDragon the fastest and most secure version of Firefox around. The IceDragon interface doesn’t just look good – it’s the result of thousands of hours of careful usability testing. We’ve put everything you need in clear view to make sure you accomplish what you want, fast! Is there a 64 bit version of Comodo IceDragon? Not currently. However, we hope to add one in the near future. The 32 bit application will still work perfectly on 64 bit operating systems. Comodo Dragon is based on the Chromium engine used by Google Chrome. IceDragon is based on Firefox. Because malware plagues the Internet. In 2009 alone, more than 25 million new strains of malware were created, causing a 400% jump in compromised Web sites worldwide. Venturing onto the Web today (in an age in which one continually reveals social security, bank account and credit card numbers as well as a plethora of other sensitive data) can be like walking down a hallway with portraits on the walls. Portraits with eyes that watch everything you do and people hidden behind them ready to take advantage, based on what you let them see! Never have you needed to protect your privacy more on the Web! Will Comodo IceDragon run on my computer? Comodo IceDragon will run on 32/64 bit Windows 7, Windows Vista and Windows XP. Is Comodo IceDragon open source software? Will trying Comodo IceDragon cost me anything? No. Comodo IceDragon is absolutely free. Much like many of the other innovative Internet solutions offered by Comodo.